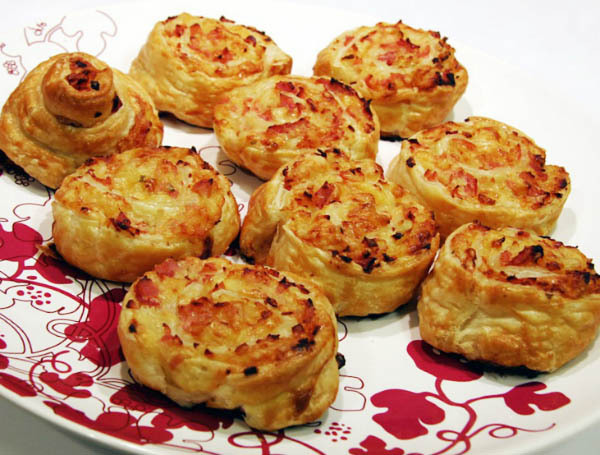 Puff Pastry Snail is a very nifty recipe. You can stuff the puff pastry with any filling of your choosing. 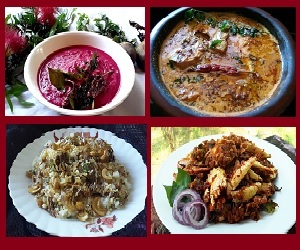 You can try jams, preserves, cheese, chocolate and the list goes on! 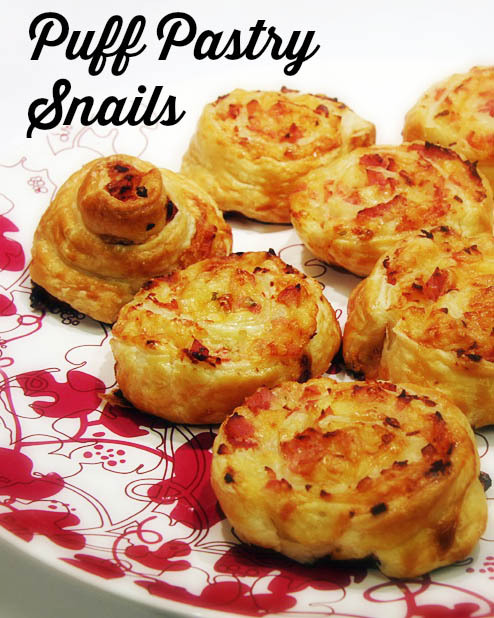 I love making Puff Pastry Snails with bacon and cheese. I love making them for picnics or for days at the beach. They’re great with kids and adults alike. I once made some for a breakfast potluck with people from our local church and they loved them so much! Puff Pastry Snails are also good as a light snack. It also goes great with coffee or tea. I love having these with a cup of my favorite coffee on lazy mornings. I love how you can make it from scratch or cheat and get some pre-made puffed pastry from the frozen food section in your favorite grocery shop. I love making this with my significant other or with my younger cousins. Puff Pastry Snails are so easy to make, you can even let kids do it—with your supervision, of course! Preheat your oven. Set it to 180ºC. Spray your baking trays with oil and line with baking paper. Fry bacon in a non-stick pan until golden brown. Combine butter, salt and flour in a bowl. Pour milk in the mixture and mix into a soft dough. Roll the dough with a rolling pin into a 25×30 cm rectangle. Top the dough with chutney and sprinkle the bacon and cheese. Roll the dough starting from the long side. Cut the whole thing into twelve equal sizes. Place them on the tray and bake for a quarter of an hour.